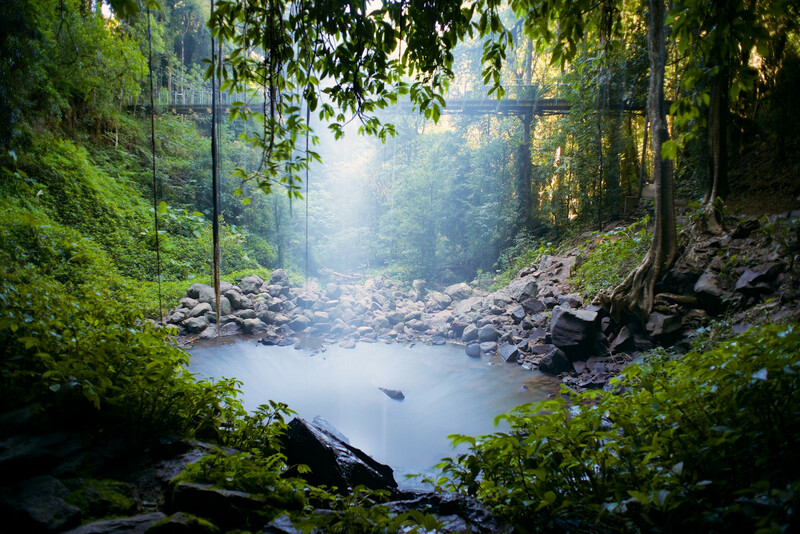 The Dorrigo area in regional NSW Australia is on a great tourist trail called Waterfall Way. There are many small and large waterfalls scattered around the area. But for me personally Crystal Shower falls which is on the larger Wonga Walk amongst subtropical rainforest and 600-year-old trees in the Dorrigo National Park. This image was captured standing in behind the falls.